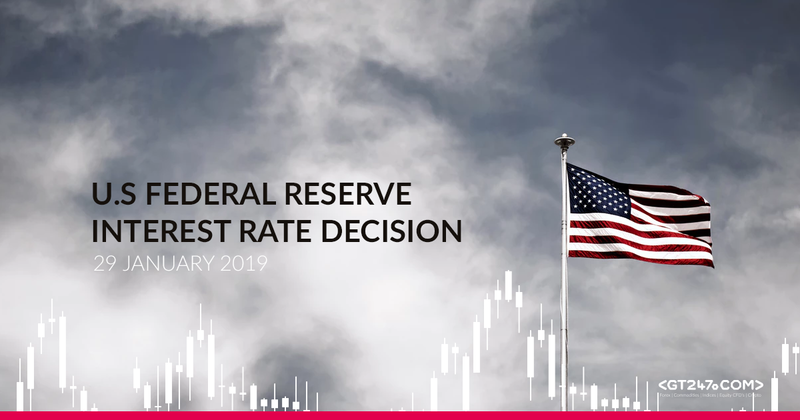 The U.S. Federal Reserve's Federal Open Market Committee (FOMC) will announce whether the interest rates in the U.S. will increase or remain unchanged on Wednesday at 21:00 SAST. The market outlook is that there is a 1.1% probability of a rate hike later tonight and that the FOMC will keep interest rates steady at 2.25%. Additional U.S Federal Reserve (FED) interest rate increases is only expected by June 2019. The Federal Open Market Committee (FOMC) statement communicates its monetary policy to investors and market participants. It also contains the outcome on the vote on interest rates and will be released at 21:00 SAST. Following the statement, no press conference is scheduled for the FED Chair Jerome Powell. The FOMC statement will be looked at for clues on future rate decisions. The FED’s interest rate hikes have come under fire at the later stages of 2018 and will be watched closely by market participants throughout 2019. Although a rate hike is only expected later in the year, Dollar (USD) strength will become a focal point moving forward. 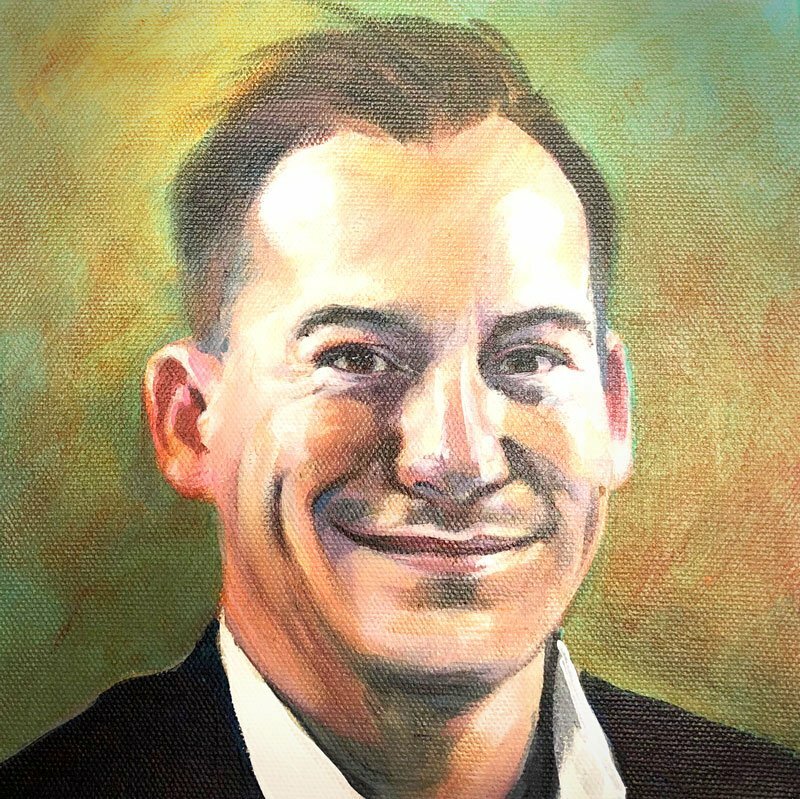 Pressure on the greenback might just give Emerging Market Currencies like the Rand (ZAR) some breathing room in the short term. 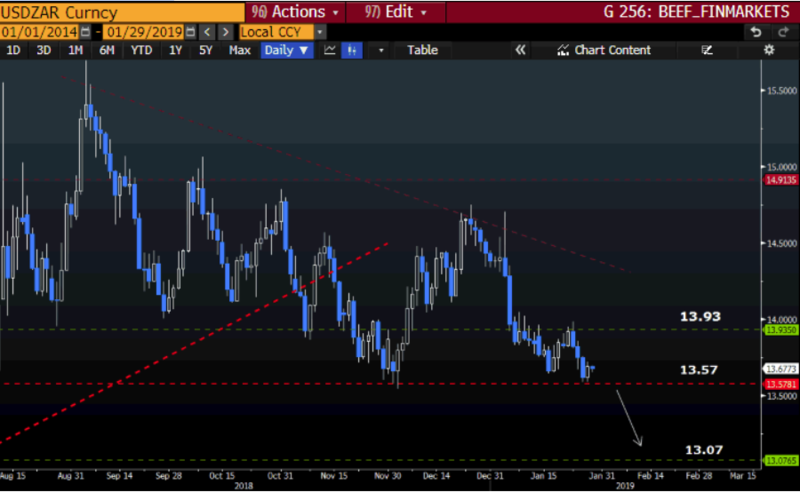 The Rand (ZAR) has gained momentum against the US Dollar (USD) since the start of 2019 mainly due to a weaker Dollar (USD). The currency pair is testing support at the R13.57/ Dollar price level now. If the support level does not hold, we might see the Rand (ZAR) strengthen further to R13.07 over the short term.